Australia has been one of the most entertaining teams to watch in this World Cup, too bad there tournament will be over after Monday morning. For the casual viewer the elimination of Australia after only two games doesn't come as a surprise, after all in a group that has Spain, Chile and Netherlands, nobody would probably had them finish anywhere but 4th place in their group. I will be honest, going into the tournament I would have to agree with that observation, but having watched their first two matches I have become not only a fan of the Socceroos, but really appreciate the entertainment that they have given the fans. They lost their first match against Chile by a score of 3-1, but that result is not representative of how well they played. If not for some amazing saves from Bravo, Australia could have tied the game 2-2 and perhaps even taking the lead. Tim Cahill scored the only goal in that game and had an incredible performance in that match. He is the motor and heart of his team. His play inspired his team mates and everyone raised their level of play against one of the strongest teams in South America. The result was so negative, so for those only catching the box scores after the game, it must have not surprise them that Australia lost. For those that watched the match, they were left wondering what if; one of those shots had gone in? Yesterday, Australia had their second match of the group stage and it was against the Netherlands. Netherlands had crushed the defending World and European champions by a score of 5-1. Most casual fans had Australia pegged to lose this game by perhaps an even more embarrassing score line than the 5-1 Spain got. If you did what I did and tuned in to watch this game, you were in for a treat. 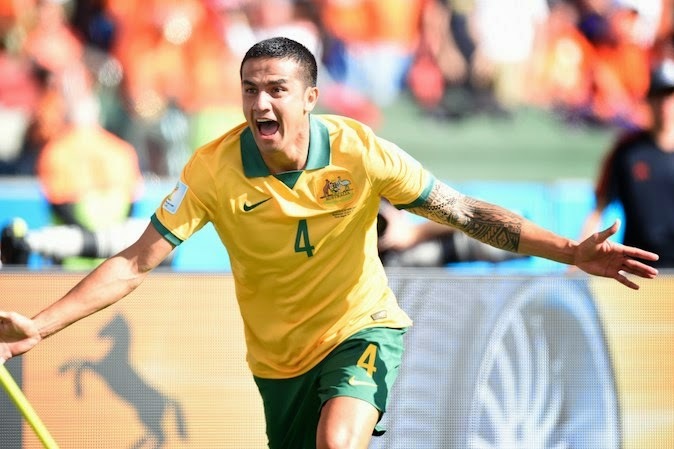 Australia came out flying in the wings of Tim Cahill. He once more led the way and had the country and team on his shoulders as he set himself to face off against one of the best teams in European football. They looked amazing, pressing high up the field, quick counter attacks, amazing ball movement. Who was this team in an Australian kit? Even when they went down 1-0 after the Robben goal, you could still see that they were not giving up and it took 1 minute for Cahill to level the score with what will most likely be a top 5 goal at this year’s World Cup. They were on to the races, and Netherlands wasn't sure what had happened. More incredible is when they go up 2-1 with a penalty kick goal by Jedinak. It looked like we would be setting ourselves up to watch the biggest upset in this World Cup. In the end it wasn't meant to be and Netherlands would in the match by 3-2, but Australia put on an amazing display and played incredible football. They showed the world their own version of “Total Football” if you will. The loss and elimination from the competition hurts, but this is one of those moral victories. Besides the loss the yellow card to Cahill is in itself an even bigger loss. Australia will have to play Spain without Tim Cahill. That is such a shame, because he has been an incredible player not only for his country but for any football fan that loves to watch this incredible game. It wouldn’t surprise me if they finished fourth in the group ahead of Spain. That would be a well-deserved award for what they have done in the tournament. 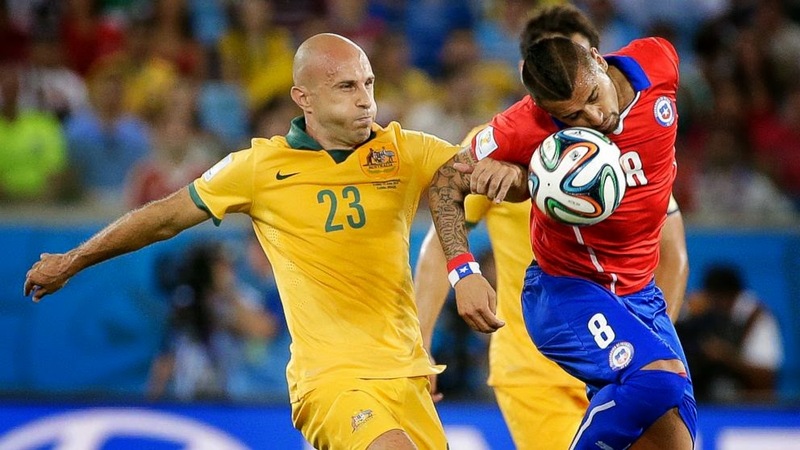 The Socceroos have shown the world what they can do, and have left many wanting more.